One of our bestsellers in Jakarta! 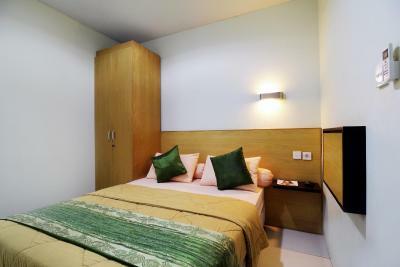 Set in Jakarta, Chandrady Guest House offers air-conditioned rooms with free WiFi. Offering a garden, the property is located within 8.1 miles of Tanah Abang Grocery & Textile Center. Attractions in the area include Mangga Dua Square, 8.1 miles away, or Dunia Fantasi, situated 8.1 miles from the property. Situated in Jakarta, Shinju Apartments Cilandak provides accommodation with access to a fitness room. Complimentary WiFi is offered. 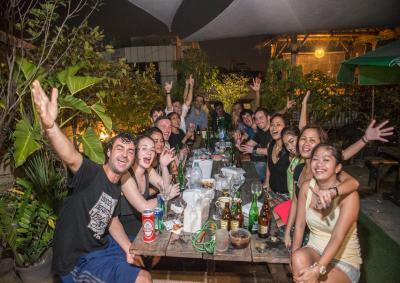 Situated in the Kemang area, Chic Quarter is just a 10-minute drive from Pejaten Mall. 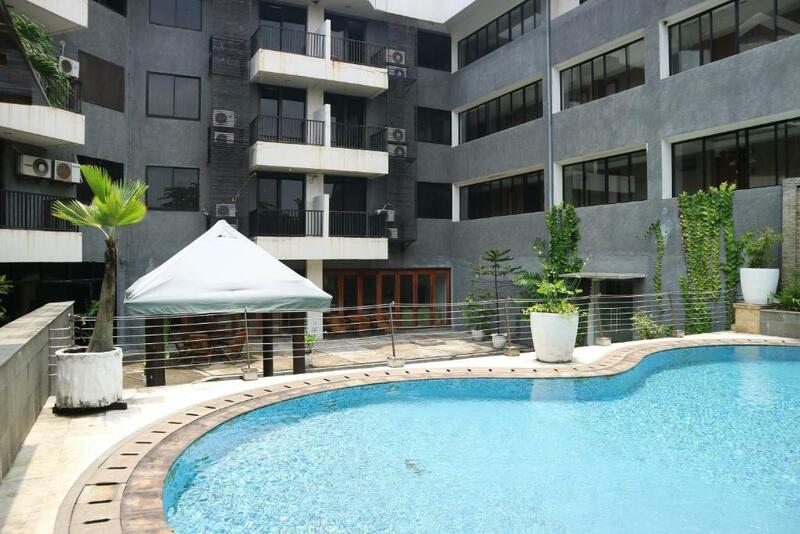 It houses an outdoor pool and provides complimentary Wi-Fi access throughout its premises. Kridatama Bassura City in Jakarta provides accommodation with free WiFi, 2.4 miles from Jakarta International Velodrome Rawamangun, 4.3 miles from Bundaran HI and 4.3 miles from Sarinah. The property has pool views and is 5 miles from Lubang Buaya Memorial Park & Museum and 5 miles from National Monument Park. One of our bestsellers in Jakarta! 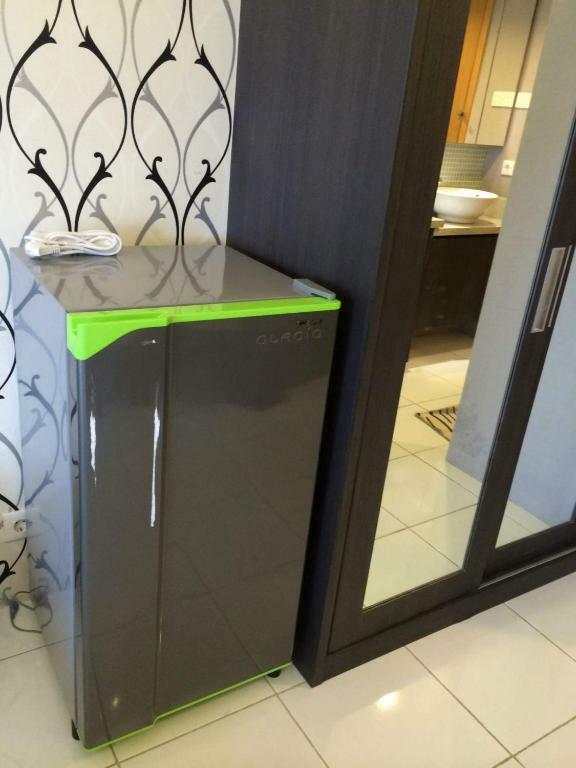 Set in Jakarta, this air-conditioned apartment features free WiFi and a balcony. The property boasts views of the pool and is a 2-minute walk from Pondok Indah Puri Hospital and a 5-minute walk from Puri Indah Shopping Mall. Free private parking is available on site. 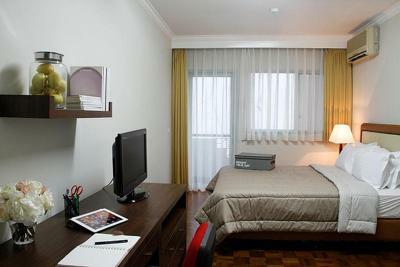 Cikditiro Menteng is an accommodation set in Jakarta, 1 miles from Bundaran HI and 1.2 miles from Sarinah. 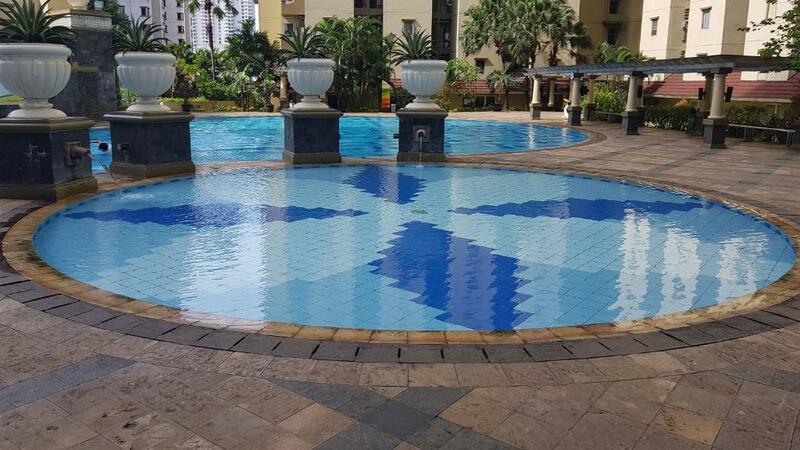 Guests are welcome to go for a swim in outdoor pool and enjoy the free WiFi. 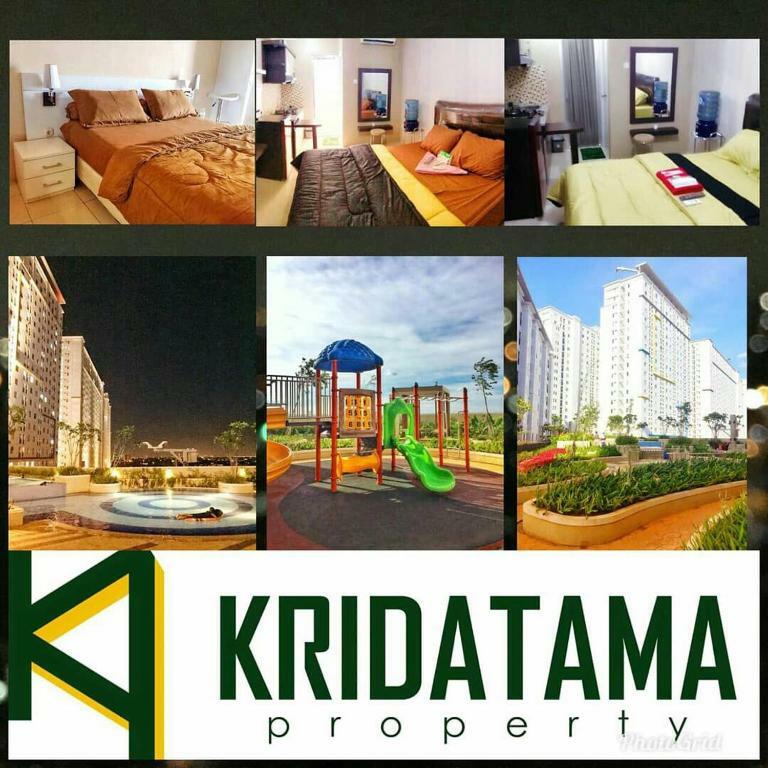 Kridatama Property features paid parking, a swimming pool and non-smoking accommodation. This air-conditioned apartment comes with a wardrobe, a balcony and a clothes rack. One of our bestsellers in Jakarta! 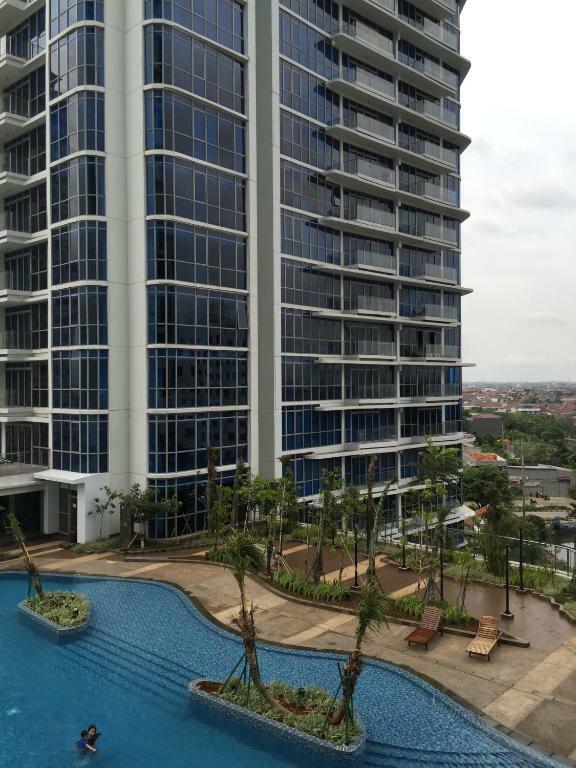 Signature Park Apartment Tebet is located in Jakarta, 3.7 miles from Bundaran HI, 4.3 miles from Jakarta International Velodrome Rawamangun, and 4.3 miles from Sarinah. Guests are welcome to go for a swim in the outdoor pool. One of our bestsellers in Jakarta! Located in Jakarta City, Cilandak Mansion is a 15-minute drive from Cilandak Town Square. It features an indoor swimming pool and air-conditioned rooms with a flat-screen TV. 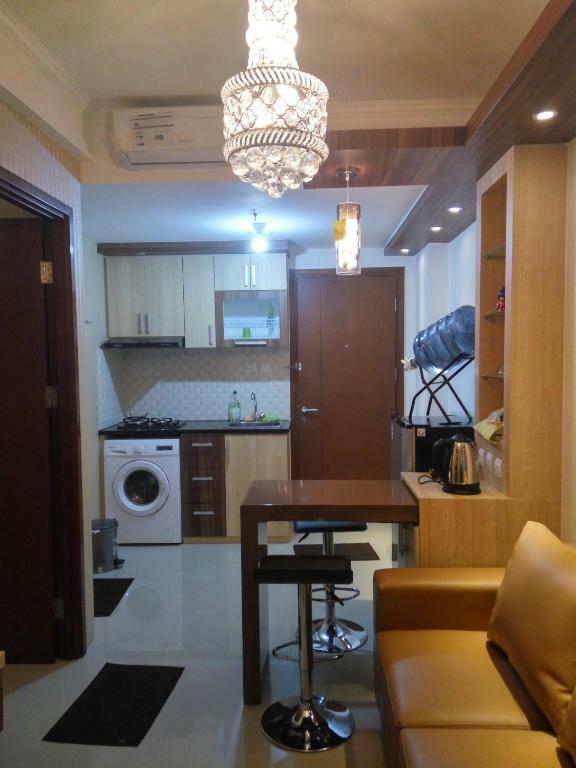 Located in Jakarta, 4.3 miles from Ragunan Zoo, Krisna Apartment Kalibata City provides a living room with a TV. This apartment is 4.3 miles from Lubang Buaya Memorial Park & Museum and 5 miles from Bundaran HI. 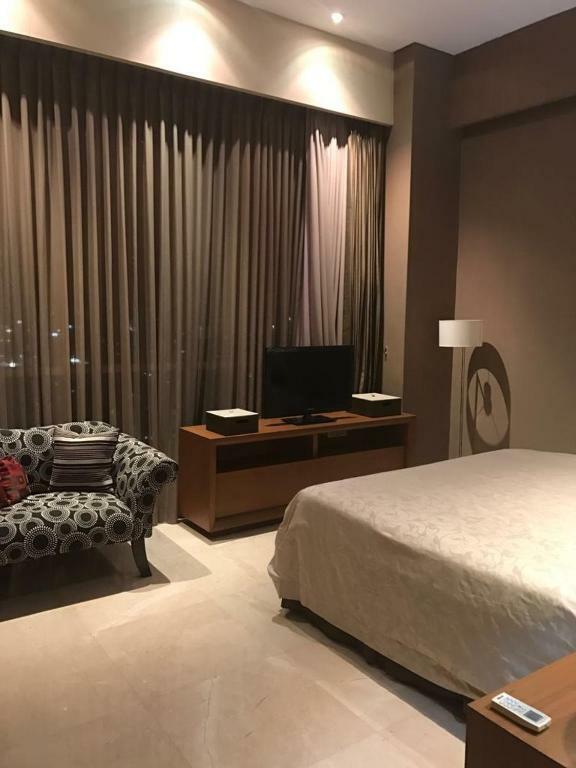 Situated in Jakarta, 3.7 miles from Lubang Buaya Memorial Park & Museum, 4.3 miles from Jakarta International Velodrome Rawamangun and 4.3 miles from Bundaran HI, Signature Park Grande - Yuana features accommodation with a balcony and free WiFi. This apartment also has a restaurant. Set in Jakarta, 2.2 miles from Kemang, Cipta Hotel Pancoran boasts a modern and comfortable accommodation with a semi-outdoor pool. It features free WiFi access and free private parking. The hotel has a spa centre, and guests can enjoy local and international dishes at the restaurant, or a drink at the bar. One of our top picks in Jakarta. Offering a year-round outdoor pool, Kristal Hotel Jakarta is situated in Jakarta, 1.9 miles from Kemang. Ragunan Zoo is 3.1 miles from the property. Free WiFi is offered throughout the property and free private parking is available on site. 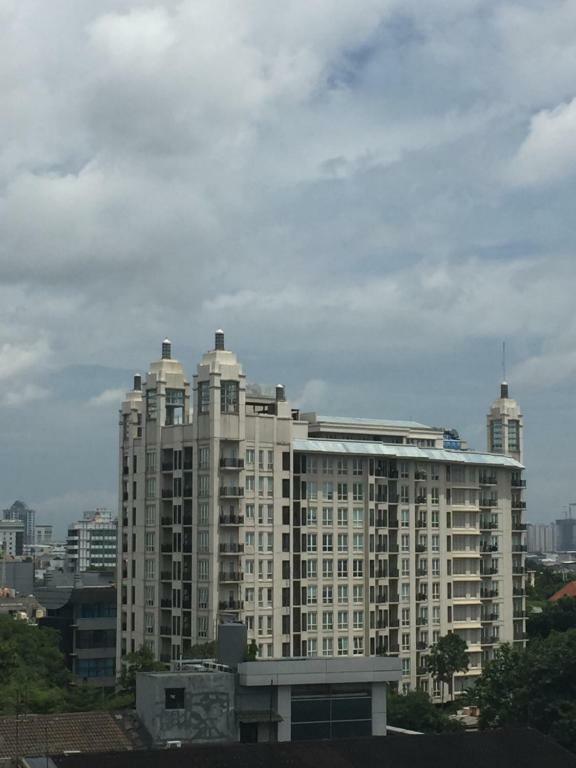 Located 1,000 yards from Jakarta International Expo and 2 miles from Mangga Dua Square, Simply 2BR Apartment Mediterania By Travelio offers accommodation situated in Jakarta. Guests staying at this apartment have access to free WiFi. Located in the city centre of Jakarta and nearby Gambir Railway Station, guests of Cipta Hotel can dine at Blueberry Pancake House and Bar or use the WiFi for free in the room. 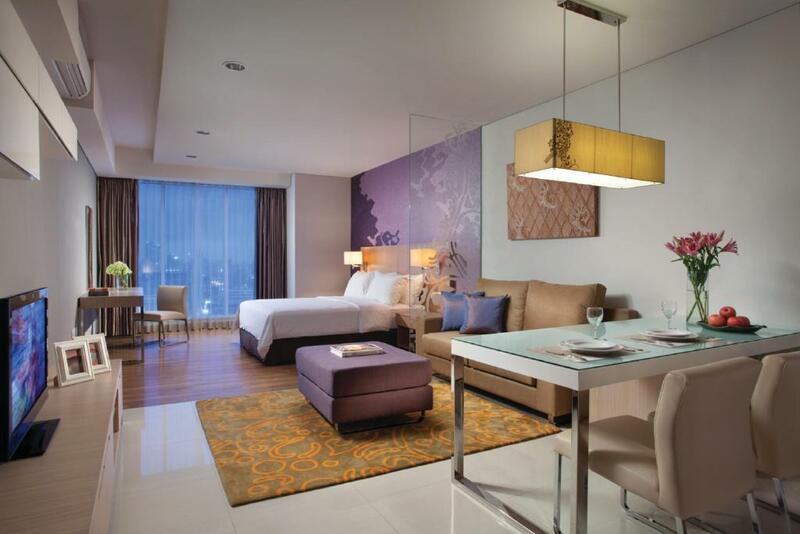 Situated in Jakarta, Kuningan Place Apartment features air-conditioned accommodation with a terrace and free WiFi. The apartment has access to a restaurant. Featuring free WiFi and a restaurant, Six Degrees offers accommodation in Jakarta. Free private parking is available on site. One of our top picks in Jakarta. Citadines Rasuna Jakarta is connected to MMC Hospital and a 3-minute walk to Plaza Festival. It offers rooms with a kitchen and free Wi-Fi. The property is equipped with a pool, fitness centre and sauna. Kusuma Atmadja Residence features a terrace and non-smoking accommodation. 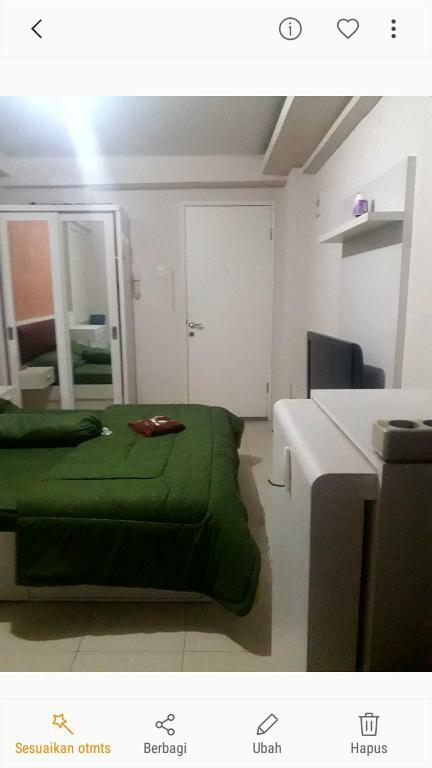 The air-conditioned accommodation units come with tiled floors, a wardrobe, a desk, and a private bathroom with a shower and free toiletries. Guests at this property can make use of the terrace.